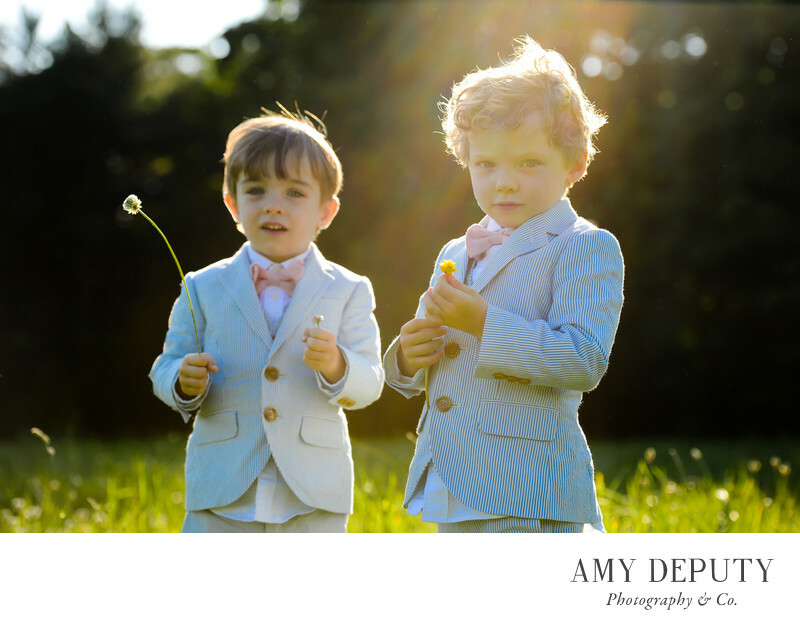 These boys, dressed in their blue and white seersucker suits and pink bowties, look like little angels crowned in light. The effects of light can be magical, especially that of natural sunlight. These glowing boys, holding their wildflowers, are themselves little rays of sunshine. Children and family portraits taken in natural settings throughout Baltimore, Maryland, DC and Virginia are my specialty. I love to photograph children as they naturally are: at play, running through a field, or chasing after a pup. From time to time, we pause to shoot a few naturally posed portraits. These are real memories of your family, captured and kept to hold dear for many years to come.